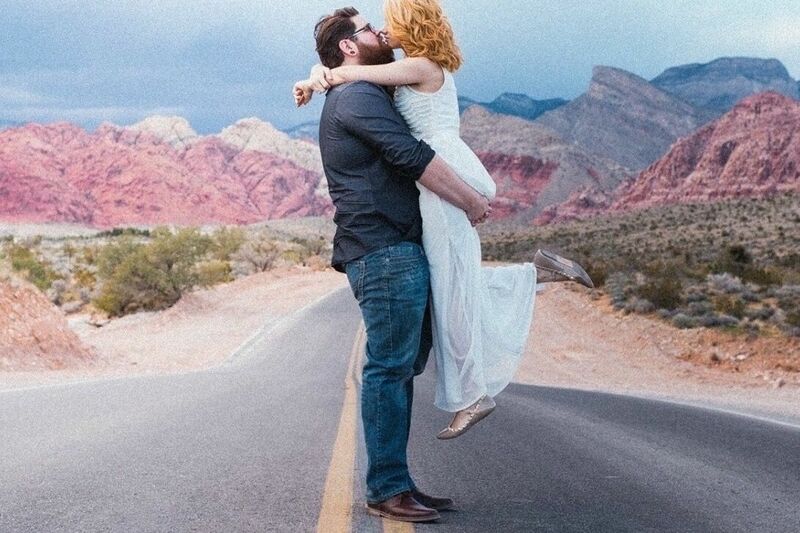 A 27-year-old Las Vegas woman’s cough was dismissed as allergies three times, but on her fourth visit, the doctor diagnosed it as cancer. Meagan Bechtold, a co-manager at Ulta Beauty, had a dry cough for about two months in 2018 and visited the doctor three times, but each time she was told it was bad cold, allergies, or bronchitis. She visited the doctor the fourth time on July 13, 2018, just before she was about to go for a holiday to Mexico with her husband Chris, reported MDF Features. “They took X-rays and realized something was very wrong and sent her to the hospital immediately. 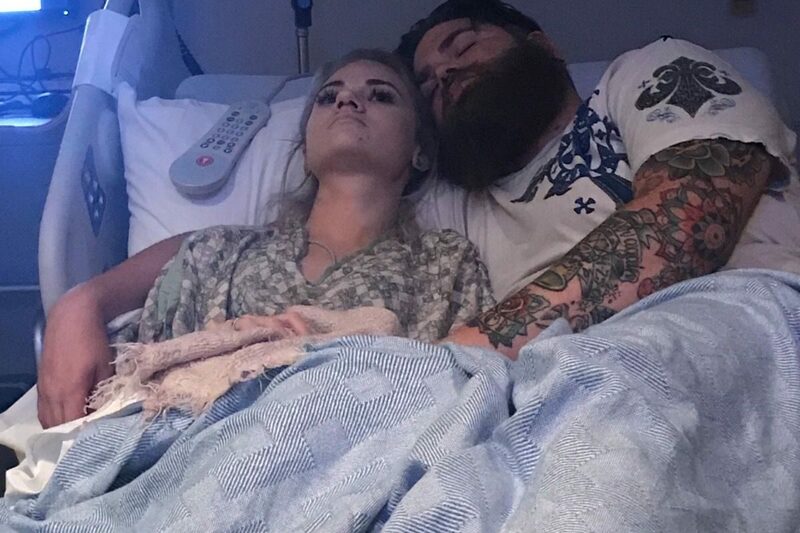 After many tests, fevers, night sweats, and possible diagnosis’, they were told she had Hodgkin’s Lymphoma (a rare form of cancer),” said her GoFundMe campaign. Meagan and Chris canceled their holiday and she had to go to the hospital right away. Her lungs were found to be filled with liquid and there was a 13-centimeter lung mass located in her diaphragm. She had to take her first round of chemotherapy right away and couldn’t leave the hospital for 11 days. She lost 10 pounds and suffered from constant nausea and mouth sores. After her first round of chemotherapy, Meagan slept continuously for three days. During her second round of chemotherapy, her white cell count was found to be extremely low. 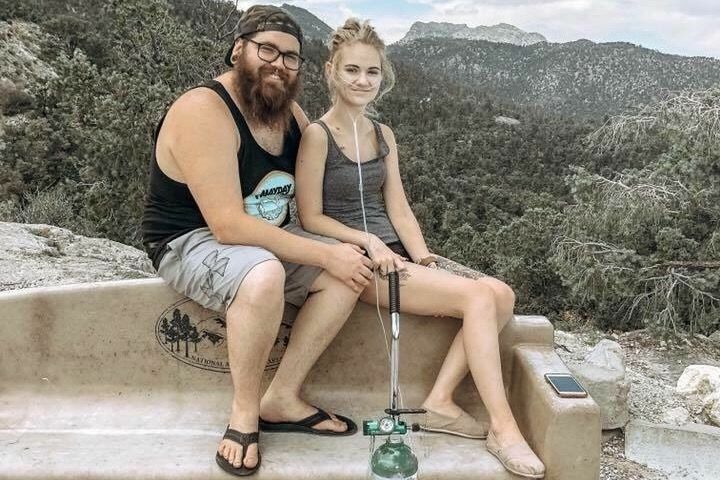 “She had to get some boosters first to help increase her white cell count,” wrote an update on her GoFundMe campaign. In the meantime, her hair was starting to fall during the second round of chemotherapy so she decided to shave it off completely. “These last 24 hours have honestly been the most heartbreaking and emotionally draining part of this whole journey so far. 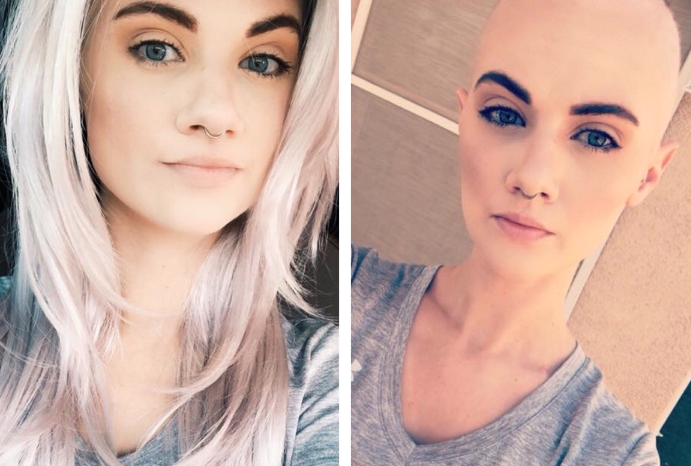 “I can’t quite put into words all the feelings you get before, during, and after you shave what’s left of your hair falling out, but in the end losing my hair is just apart of the battle,” said her GoFundMe campaign. Meagan told MDF Features that her hair was a part of her identity and losing her hair felt like losing herself. “I honestly believe that the main reason hair loss is the worst is because that’s the first time you truly look and feel like a cancer patient,” she said. Meagan said she felt liberated and empowered when she put on makeup the day after losing her hair. “I felt as if I was forced to find myself without appearance being part of the picture. You learn what truly matters during this process and for me, hair loss had the biggest impact on my outlook. It was both the absolute worst and the most empowering of experiences,” she said. She was inspired by the stories of cancer survivors and felt motivated seeing their “last chemo” or “officially cancer free” posts. 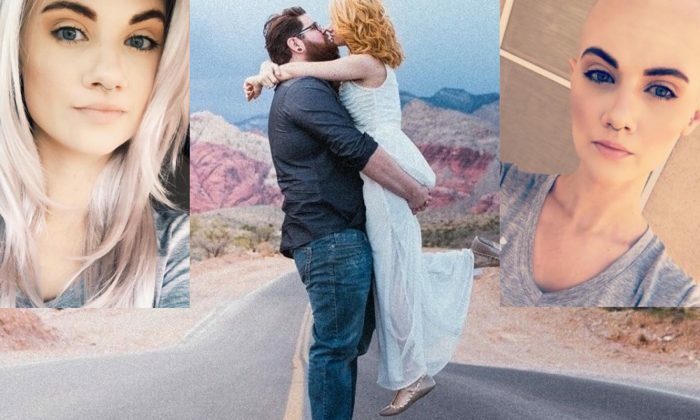 “My husband and my family tell me every single day how proud they are of me and how strong I am. They pushed me when I felt like giving up. The most important thing during all of this was to never lose sight of the goal, and no matter how bad and ugly things got I had to remember to pick myself up. “I learned to let go of the need to control everything, I learned everything you could possibly know about the word ‘patience’. I learned that the most important things in life aren’t things at all and I learned to love every part of myself, including my flaws,” she said. “Stressing yourself out about things you have no control over is completely useless. By stressing and worrying about tomorrow’s problems, you’re completely ruining your current day. “The world would be such a better place if we all loved ourselves and put self-care first. I used to envy people who had more things or were succeeding faster than I was, and now I’m completely happy for them. There is no timeline or requirement for you to accomplish things in life. You decide when things are right for you,” she told MDF Features.